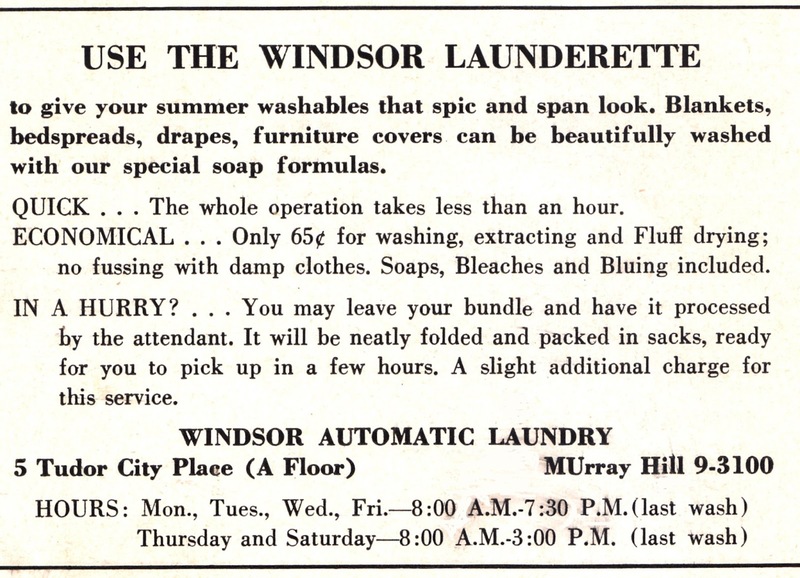 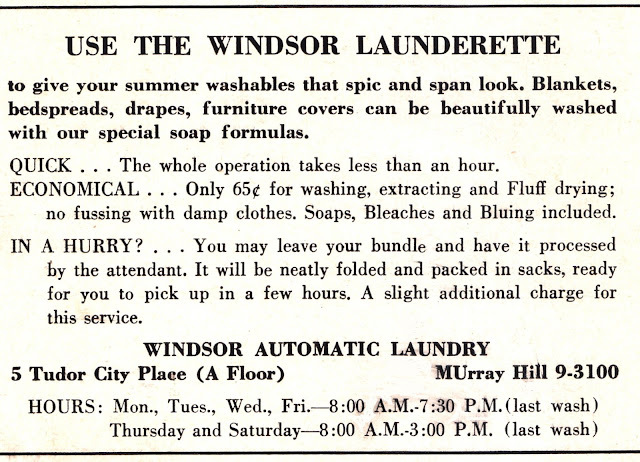 Faithful readers know there is no subject too inconsequential for this blog, so in that light, here's a look at Tudor City's first automatic laundry, the charmingly named Windsor Launderette. Set in the first basement of No. 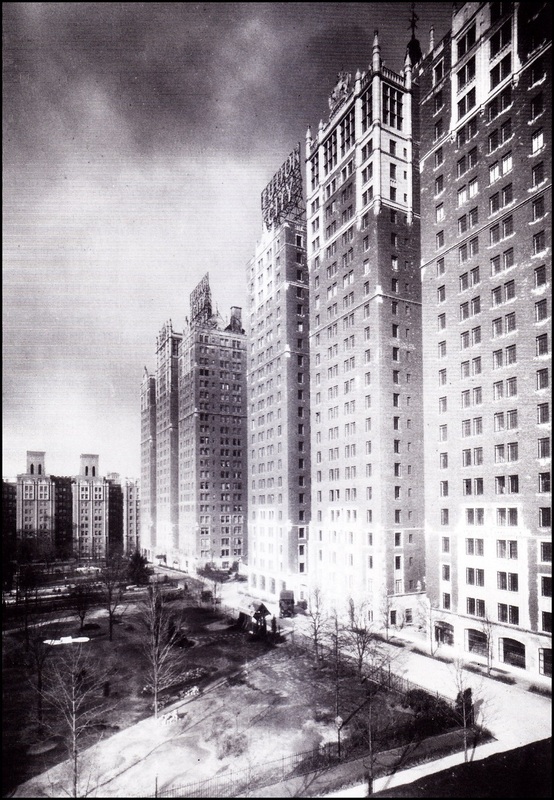 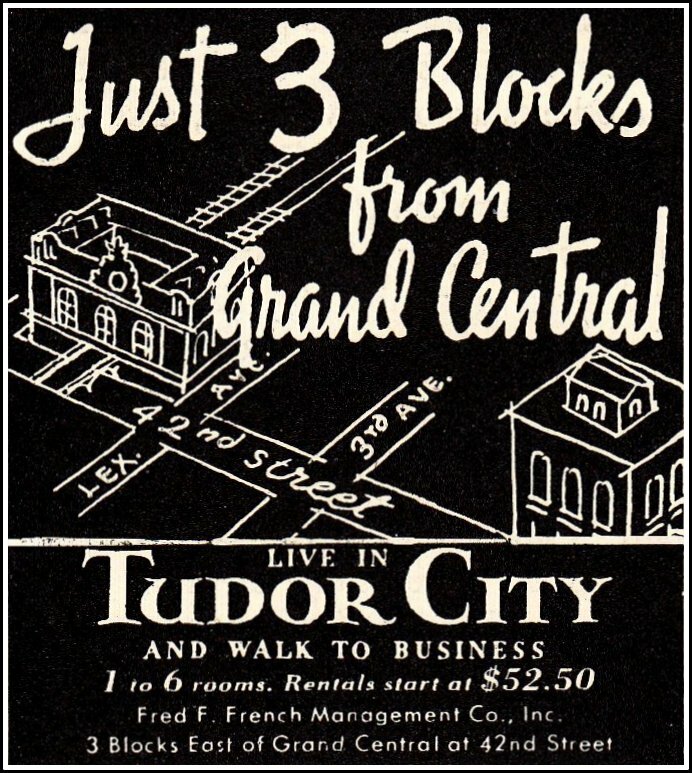 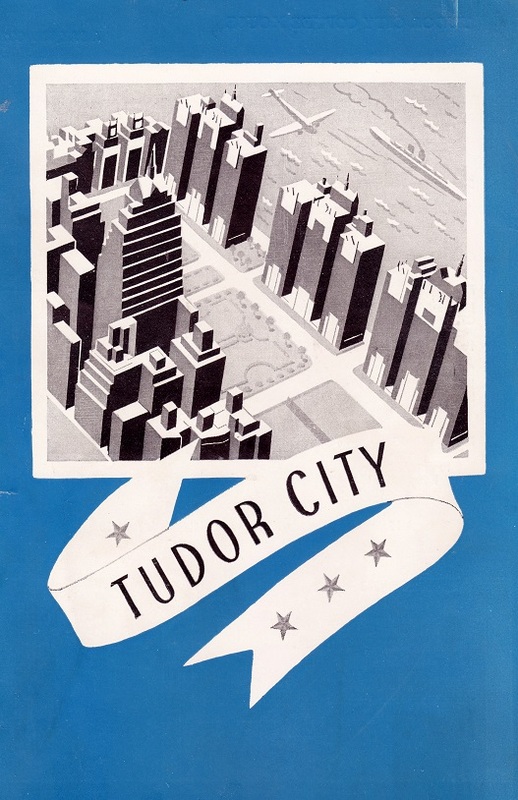 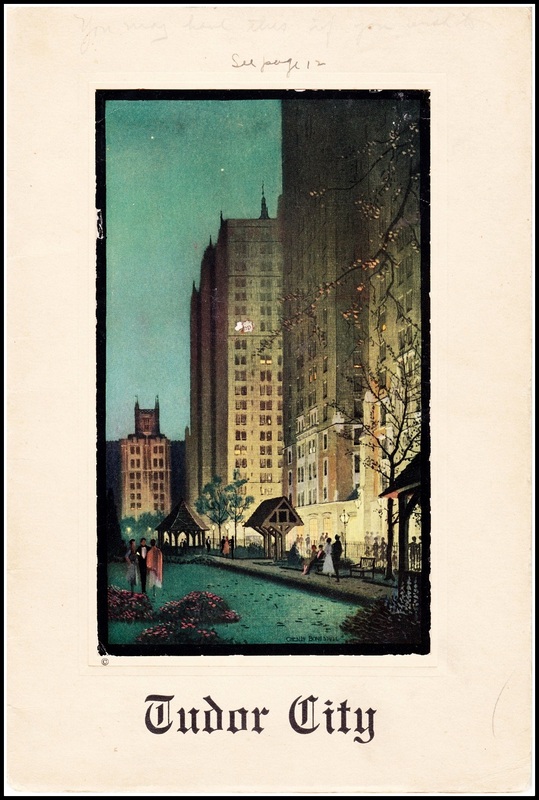 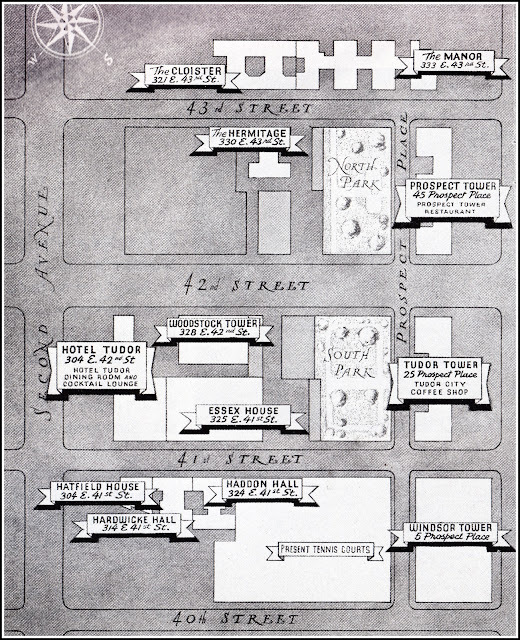 5 and available to all Tudor City residents, it operated there from around 1945 to 1975. 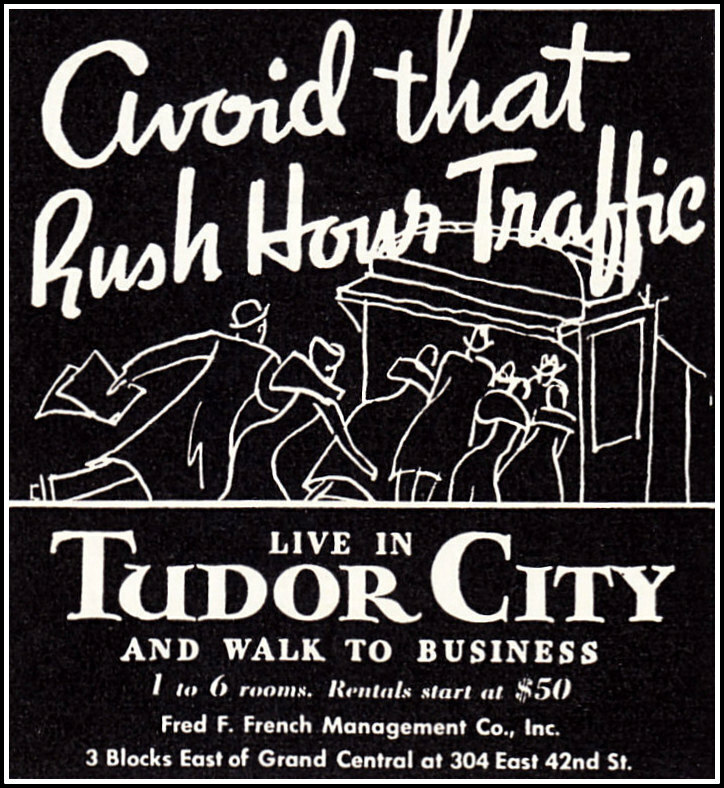 Below, the circa-1948 picture that inspired this post. 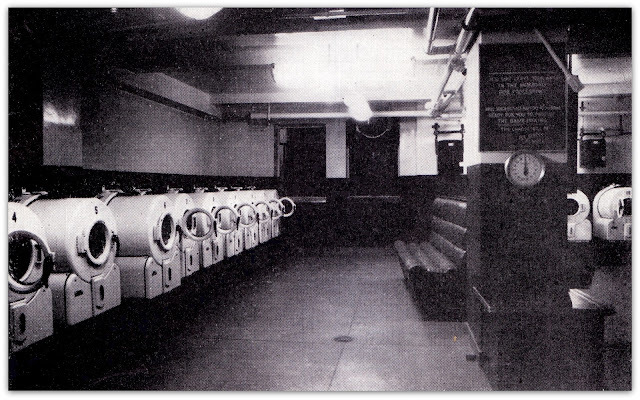 It looks like a set from a Fritz Lang movie with its cannon-shaped washers, interrogation-style lighting, and padded banquette bench. 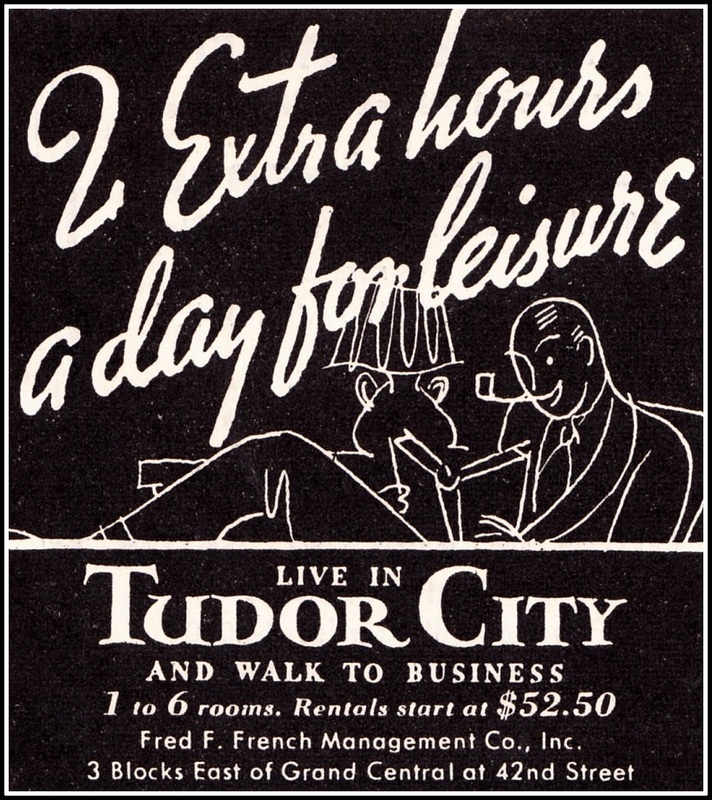 Beneath the picture, 1952 ad copy spelling out the particulars.